I've just signed a contract with Aurum Press for an e-book. Or possibly an e-essay - I'm not sure what the correct terminology is. It's a slightly odd format: a 25,000-word piece, too long for magazine publication, too short for a book, but perhaps just about right for download. 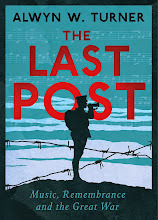 In any event, I like the length of it: an hour or so's reading available for a couple of quid. As the above rambling suggests, I have already pretty much written the piece, though it'll take another month or so before it's available. I'm hoping it'll be published in March to commemorate my fiftieth birthday. Because that's kind of what it's about: the political and cultural story of my generation, hinged on the 1992 general election and the impact that John Major's victory had. Just to pay proper tribute: this originated in an entry in Dan Atkinson's blog on the Mail Online site last year. He noted the paucity of senior politicians born in the early 1960s, and my piece is an attempt to explain this phenomenon. So there it will be. Annus Horribilis: The Lost Generation of 1992. Available in all good e-bookstores shortly. Even for those with a passing interest in Westminster politics, John Nott is hardly the most evocative of names. He's remembered as the defence secretary who resigned after Argentinian troops forcibly occupied the Falkland Islands, and for the interview with Robin Day in which he, quite reasonably, took exception to Day's pompous cynicism and walked out of the studio. And, er, that's about it, isn't it? A vague memory of an ascetic looking Thatcherite, perhaps? Clearly I should have read his memoirs - Here Today, Gone Tomorrow - but I haven't. 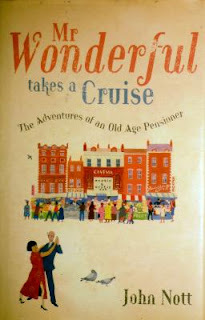 So I came to his book Mr Wonderful Takes a Cruise: The Adventures of an Old Age Pensioner (Ebury Press, 2004) with no real preconceptions. And it's an unadulterated joy. Nott and his wife have decided to go on a cruise around the Norwegian fjords, so he resolves to brush up on his ballroom dancing and his bridge-playing, while simultaneously carrying out a study of the mores of modern Britain. He wanders around Shepherd's Bush Market, enjoys a lap dance in Spearmint Rhino and samples youthful enthusiasm in an evangelical church. This is tremendous stuff. As entertaining and wise a book as I've read in a very long time. Since listing my favourite political diarists a couple of weeks ago, I've been reading Giles Radice's Diaries 1980-2001 (Weidenfeld & Nicolson, 2004). And they're really very good - certainly they would have featured in my top ten had I read them earlier. 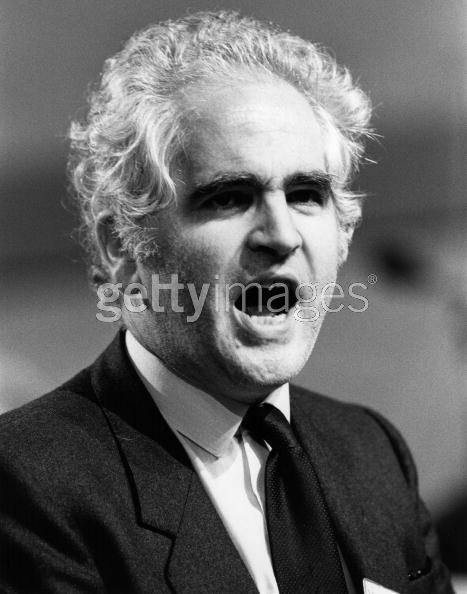 I always had a lot of time for Radice, a Labour MP from the social democratic wing who didn't leave for the SDP, instead staying to fight his corner and to attempt the recapture of the party from the left. It all seems a terribly long time ago now, but Radice was then in his mid-forties and approaching his political prime - his departure would have been a serious blow to Labour. As it was, he ploughed a very lonely furrow through much of the 1980s, resisting an attempted Militant takeover of his constituency party and holding fast to a set of beliefs that were deeply unfashionable. Elected as an MP in 1973, he was still in the Commons twenty-one years later when Tony Blair became leader and began to implement many of the changes he had long argued for. His relentless espousal of European integration and his argument, in the Southern Discomfort pamphlets, that Labour had to start addressing affluent and aspirational voters in the south, as well as its core supporters in the north, were hugely - if quietly - influential. In the Diaries he quotes Tony Blair telling him that he was 'a Blairite before Blair', which is probably about right, so long as one can separate Blairite revisionism from Blair the prime minister. Radice never served in government, but he did play a significant role in developing the role of parliamentary committees. He also wrote the excellent Friends and Rivals (Little Brown, 2002), a triple biography of Tony Crosland, Roy Jenkins and Denis Healey, which is one of the great studies of the social democratic tendency within post-war Labour. He describes himself as being 'uncharismatic', which is probably true. He is, however, something of an unsung hero. And he had a fabulous head of hair.